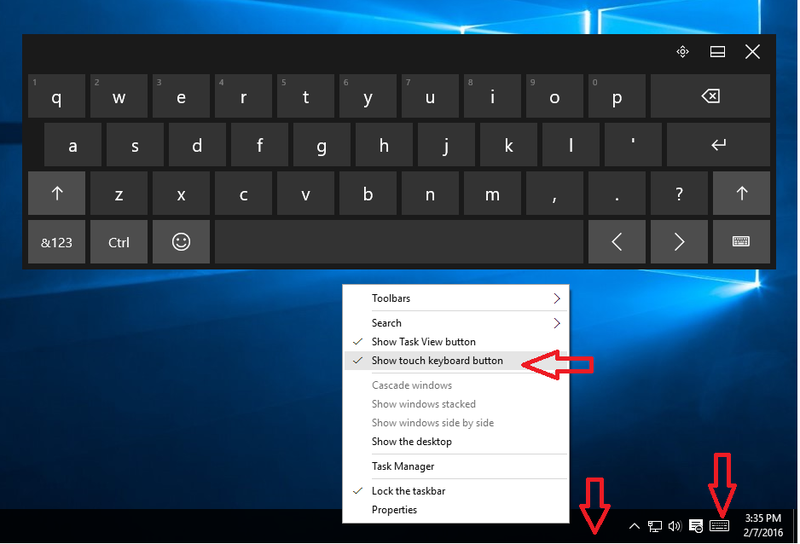 On screen keyboard is old feature in windows PC but touch keyboard feature added in widows 8.1 and windows 10, here I will show you a shortcut key to open onscreen keyboard and touch keyboard in windows PC. Just follow these easy steps you don't need to install any app. 2. 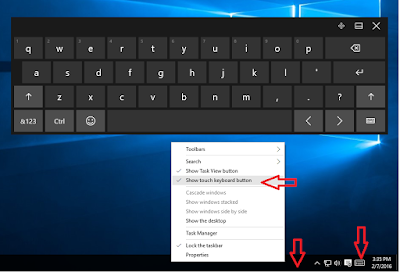 For touch keyboard right lick on task bar check on “Show touch keyboard buttons” a keyboard icon will appear in system tray tap or click on that.